After a successful first year, the Brighton Music Conference returns for 2015. Taking place at Brighton Dome and other venues around the city, the show is set for the 5th and 6th of June, and Future Music have partnered up with BMC to offer our readers a 20% discount on tickets. The only show of its kind in the UK, BMC blends both a professional programme with a workshop academy and technology exhibition. This year's professional programme includes two days of masterclasses, panels and talks featuring speakers and brands including YouTube, Beatport, Dave Clarke, Rhys Hughes (BBC Radio 1/ BBC 1Xtra), Ableton, AFEM, Native Instruments, Hospital Records, Believe Digital, Icicle, Mobilee, DJ Magazine, and many more. Panel topics for this year span the music industry, including the latest developments in streaming, publishing (and monetisation), live, digital broadcasting, legal, synching, social media, the DIY route (for artists and labels), Ibiza, and beyond. The event's equipment and technology exhibition features 60 exhibitors, including Ableton who are returning for BMC 2015. They will be presenting two technology showcases and hosting a panel, Making Music Creative Strategies for Electronic Music Producers, with confirmed artists Evil 9, Alex Banks and Max Wheeler. The Brighton Ableton User Group will be hosting a networking event and club night at The Tempest on Saturday 6th June with Evil 9, Alex Banks - Live, Max Wheeler, Adrian Pickard, Alex Jann, Lee Bowden, Immon Talebian and more. Alongside Ableton, YouTube will be running an hour-long YouTube workshop in the BMC Academy and the Association for Electronic Music will be discussing royalties. Mark Lawrence from AFEM says, "I'm looking forward to hosting the AFEM Get Played Get Paid panel. Our campaign for Dance music producers and writers to receive their fair share of royalty income from music played at clubs, festivals and beyond, has created a lot of discussion across the global electronic music industry, and Brighton Music Conference provides the perfect forum to move this debate forward." BMC's Academy line-up, meanwhile, features a programme of over 30 master classes and talks, delivered by some of the industry's leading figures. The Academy programme will welcome hosts and panelists from YouTube, Beatport, JFB, Ableton, The Hydra, Hypercolour, Anjunabeats, PRS, Hospital, Rebekah, Loopmasters, and many more. Tickets are divided into two pricing brackets. 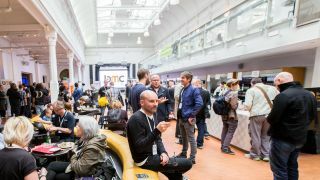 BMC Professional tickets (£99) are aimed at experienced industry professionals and offer access to the mezzanine bar plus evening club and networking events around Brighton. The BMC Academy ticket is priced at £15 online (before 4th June, 5pm), or £18 on the door. Both ticket types entitle the holder to the full gamut of panels, interviews, showcases and masterclasses. FM readers can get 20% off Academy ticket prices with the code: fmbmc15. Head over to the BMC site to purchase them now.